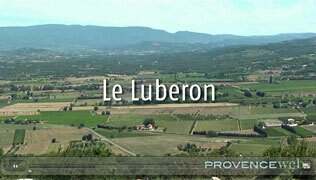 Departement of Vaucluse - Luberon - Pop. 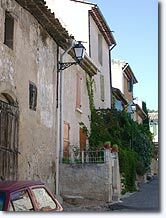 : 3.000 h.
On the D973 between Pertuis (6km) and Cadenet (6km). 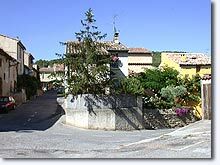 Villelaure is a small rural settlement peacefully situated on the banks of the Durance in the Parc Naturel Régional du Luberon. The village is surrounded by superb countryside and vast cultivated fields. 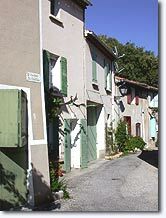 Villelaure is essentially an agricultural town. A variety of different crops are grown in this area where the vegetables and fruit are gently ripened by the Mediterranean sun. From April onwards the delicate asparagus is a speciality of the region, while in summer the crisp, sweet melons are impossible to beat! In the village, you will see the remains of the "Château in Trésémines", which has witnessed Villelaure's turbulent past. 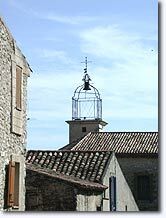 After having passed through the hands of several "seigneurs" or feudal lords, the village itself was founded in 1512 with a population of 19 inhabitants. In 1582, Villelaure was re-born a second time. After numerous misfortunes and wide-spread destruction, peace was re-established in the village and the hard-working population was able to survive thanks to agriculture. Saint-Marc parish church (1620, restored in 1909). Remains of the "château in Trésémines".